Pro boxing’s light heavyweight world champion Sergey Kovalev discusses his highly anticipated title defense bout against American boxer Andre Ward, telling Larry that his opponent is a “smart” boxer and he is unfazed by those picking Ward to win. Sergey Kovalev: Everything, we’ll see November 19th, you know? Because Andre Ward is very talented fighter, and he’s very smart. He’s like a- he’s not a fighter. He’s a boxer. Very smart boxer, you know? And what he will bring in the ring, I want to see that. Larry King: Now he’s a super middleweight, you’re a light heavyweight, so he had to gain weight for this fight, right? Sergey Kovalev: No he’s already like two fights back. 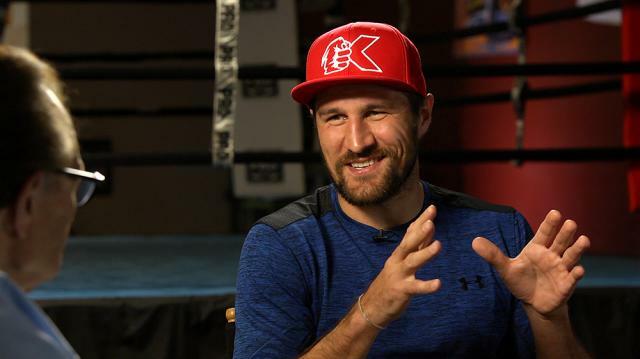 Sergey Kovalev: He gained… He’s a guest. He’s a guest in my division. Larry King: Why is he favored? Larry King: It might be better to be the underdog. Sergey Kovalev: It’s new motivation for me. And most of my important fights I fought as a guest in another country, you know? And since amateur ages. And I like when I disappoint everybody of my opponent, you know? It makes me happy. Yeah, really.